Stationary Waves: Cheap Asian Dry Goods - Is the Party Over? Agile Guitars is a brand of guitars made it Korea that are priced in some cases up to 10% of what an American company would price a comparable instrument. I own two Agile guitars: one is a black "Valkyrie" model, that is something like a cross between a Gibson "SG" model, and a Guild S-100; the other is a Valkyrie double-neck guitar with a 12-string neck on top and a 6-string on the bottom. These instruments are gorgeous, sound great, and have been - up to now - priced much cheaper than the competition. They have developed a strong reputation. Everyone loves them. 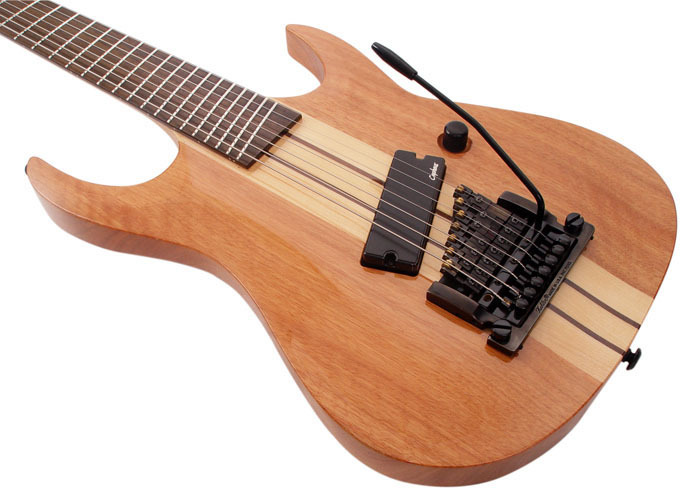 The image that appears at the top of this post is an Agile Pendulum Pro 7-string guitar, and it is currently selling for $1,295. This is at least double what 7-strings were selling for last year. Granted, this particular instrument comes with a lot of features, however the sea change is undeniable. Now, as economists we may disagree as to whether this price point increase stems from excess demand, or whether the market price for guitars has been set artificially high (like diamonds) for the last few decades. My experience with the guitar market leads me to conclude the latter, but your mind may vary.